– one so fresh it lasts for years. 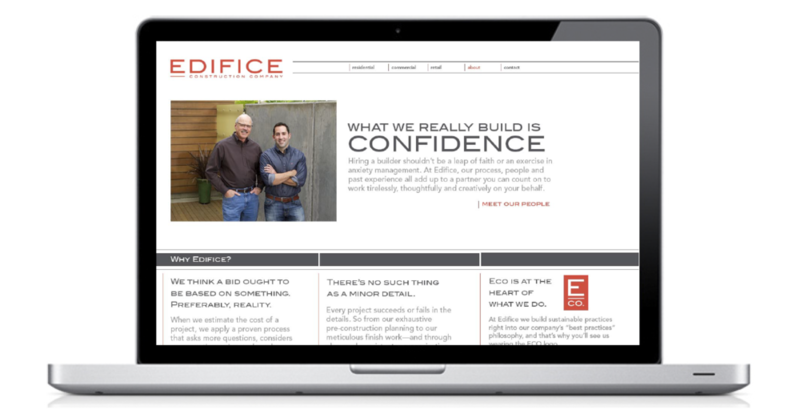 We developed a singular voice that appealed to the emotional side of their residential customers and communicated Edifice’s collaborative, relationship building skills. 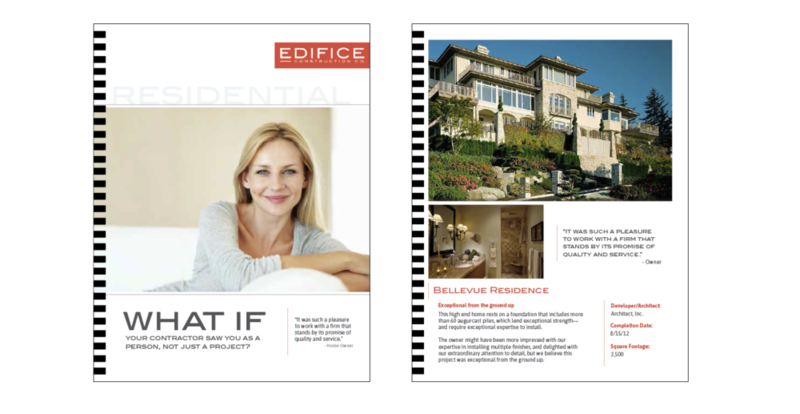 They also needed to speak clearly to their commercial clients, so we delivered a secondary message of ROI and scheduling wizardry. A new logo, website, and collateral tied together a cohesive visual identity, along with branded company gear and trucks to get their distinct personality out into the field.